Being on the judging panel for the Chinese Restaurant Awards’ Food Bloggers Choice Awards has made me spend most of my time on eating out at Chinese restaurants these days. 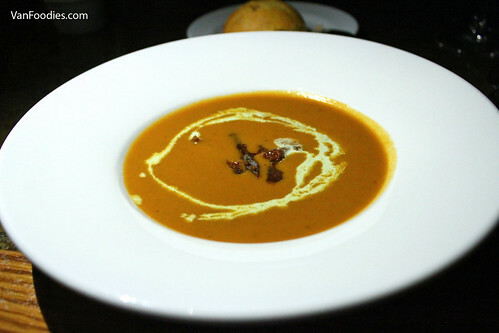 All of a sudden, it becomes a luxury to eat at a Western style restaurant. So for Papa Lam’s birthday, I took a break and went for French food instead. 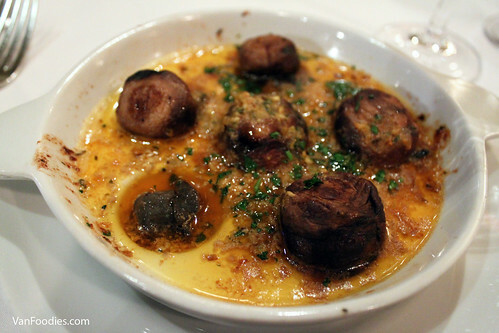 And we went to Bistro Pastis for a traditional take on this cuisine. Oh French food, how I miss thee! The four of us didn’t hold back with our orders at all. 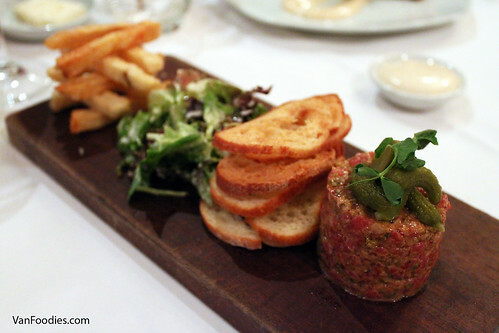 For appy, Mr. opted for the Steak Tartare, something we don’t see or order often. There was plenty of tartare to go around the table, and it was very well balanced with creaminess, acidity and meat flavours. The accompanying fries were nice and fluffy. I had to laugh at the fact that we were offered mayo for the fries, not ketchup; that’s the French/Belgian way of eating fries. Mr. didn’t dare asking for ketchup thinking it might offend them haha. Both Papa Lam and I went for my favourite, escargots. The Escargots were done slightly differently here. Each escargot was covered with a mushroom cap (haha get it?!). The garlic and herb were so finely chopped, the flavours were on the light side and not as garlicky and herbaceous as most other ones. 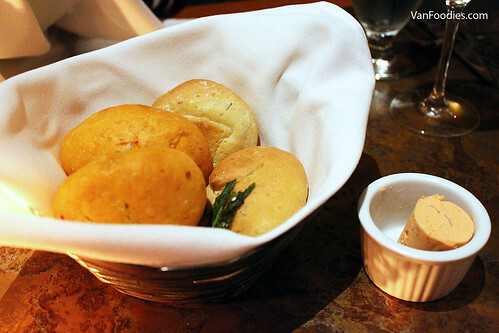 It’s mostly oil on my plate so there wasn’t much to dip our bread with. Mama Lam’s one big Crab Cake was nicely done.